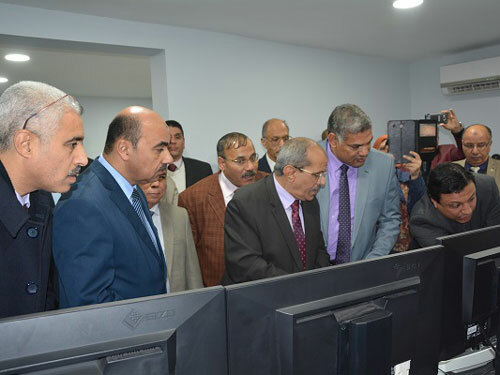 Prof. Ashraf Abd El-Hafeez, Acting President of Fayoum University, accompanied by Prof. Khaled Hamza, Former President of the University, Prof.
Mohamed Essa, Vice President for Postgraduate Studies and Research Affairs, and Prof. Arafa Sabry, Dean of Faculty of Science, opened the Electronic Microscope Unit at Faculty of Science on Wednesday 16/1/2019, in presence of Prof. Ahmed Gaber Shedid, Former Vice President for Postgraduate Studies and Research, Prof. Magdy Hanna, Former Vice President for Postgraduate Studies and Research, Dr. Ahmed Saad Gomaa, Director of Environment and Smart Technology Research Center and a number of faculty members. 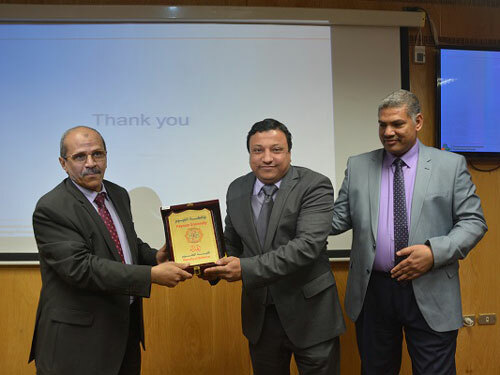 Prof. Ashraf Abd El-Hafeez praised the efforts exerted by the professors of Faculty of Science to improve its level. 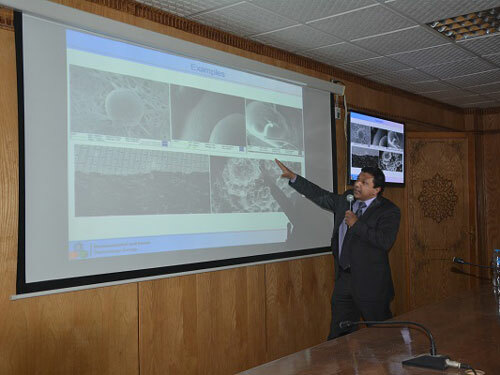 He stressed the university's full support for research project. He added also that the university adopts all constructive ideas that serve the educational process whether from researchers, faculty members or their teaching assistants. 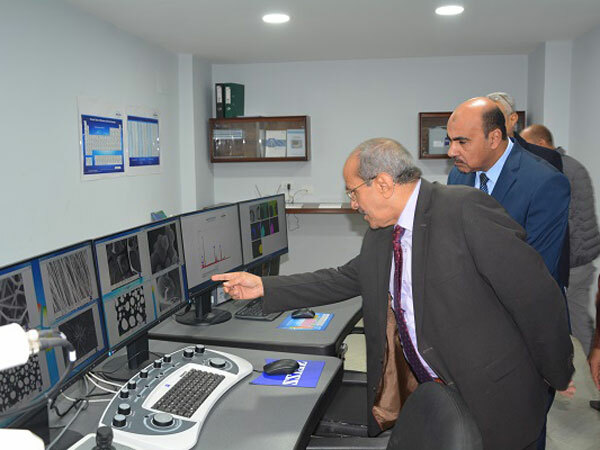 Moreover, he added that the electronic microscope was obtained after a competitive grant from the Science and Technological Development Fund in 2014 and the microscope was received with a number of other research equipment during the current period at a cost of 11 million pounds. The university contributed with 5 million pounds. Additionally, Prof. Arafa Sabry spoke about the continuous efforts to provide a good scientific level which is reflected in the academic performance and scientific research. He clarified that the faculty has received 12 scholarships from the Academy of Scientific Research. The College also obtained the highest position at the universities level, and has received 7 competitive research projects equivalent to 30% of the number of research projects submitted to universities. The College also received the best PhD thesis, which assures our position among its equivalents in the Egyptian universities. 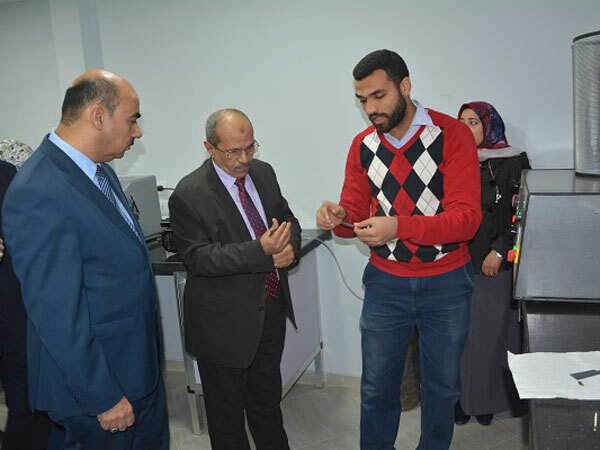 Dr. Ahmed Saad, director of the Environmental Research Center, pointed to the importance of the presence of the electronic microscope inside the university. The microscope can surface imaging and allows seeing a considerably magnified image of the specimen and produces high resolution images less than 1 nanometer. It can enlarge the material to one million times larger than normal size. 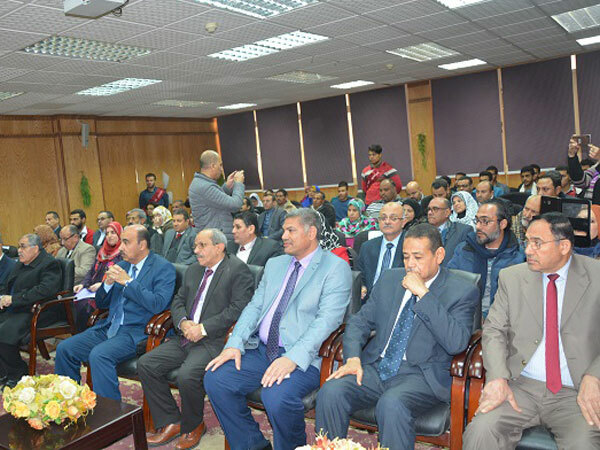 And it can be used on all materials, which has a great impact in the service of scientific research within Fayoum University in all its faculties.